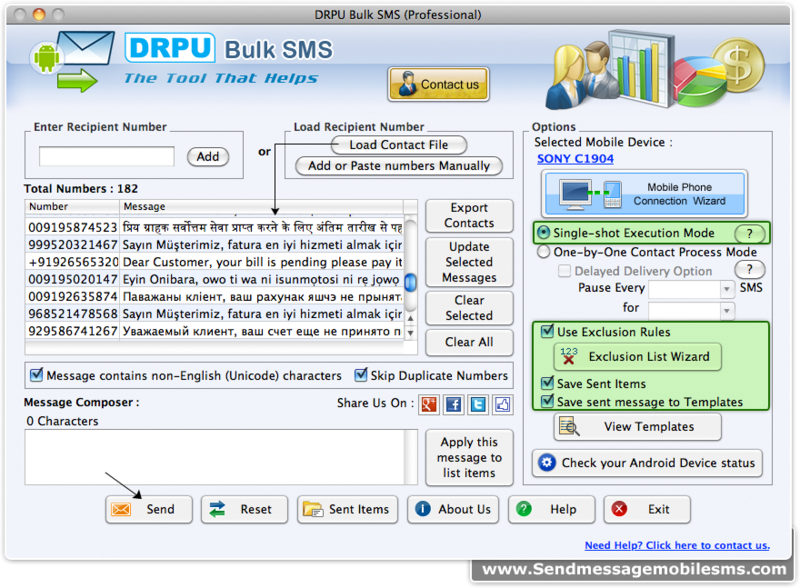 Load Recipient numbers from file and select sms software features that you want to use from right panel. Click on send button to proceed. 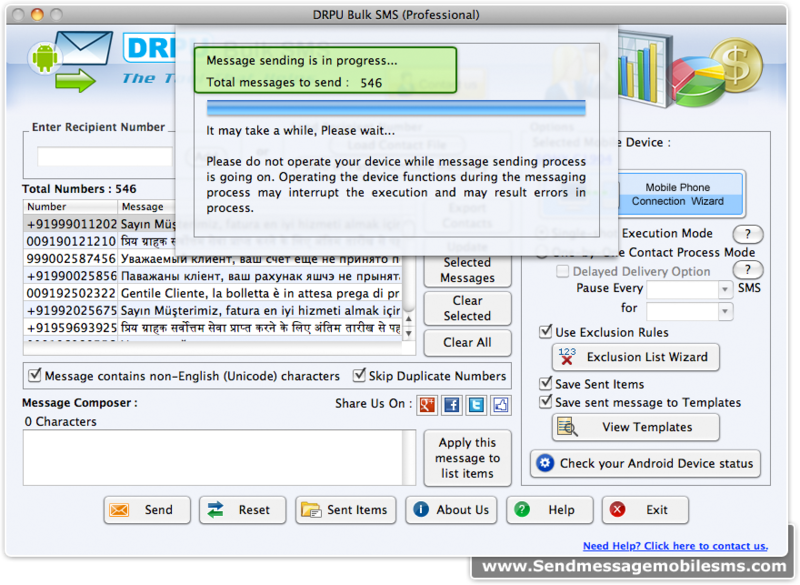 Wizard displays running status of message sending process.